Welcome to country living at Sun Meadow Estates. Beautiful, spacious ranch-style home with a 3-car attached garage offers vaulted ceilings, an open floor plan, gorgeous hardwood flooring, 3 bedrooms, 3 Full Bathrooms and 1 Half Bathroom, a large bonus room that could be used as a nonconforming 4th bedroom and a spacious living room for entertaining. Lots of granite countertop space in the bright kitchen which includes a breakfast bar and a enter island. Security system throughout. 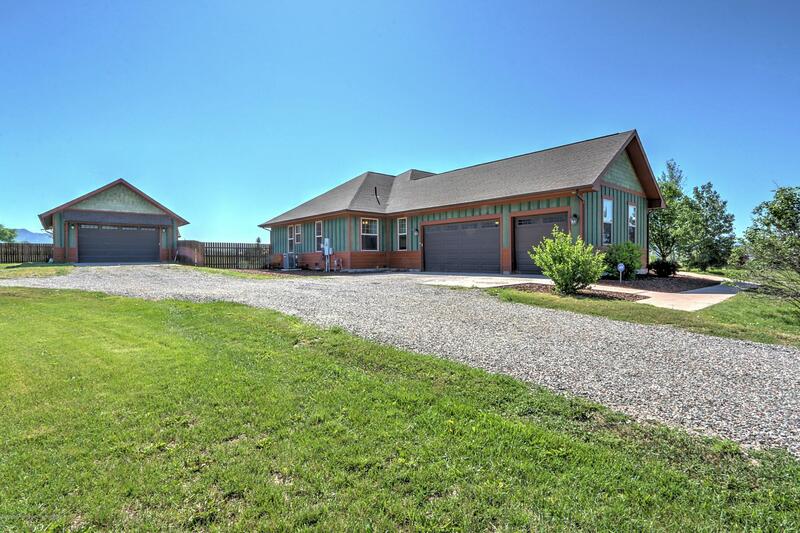 All of this on 2.01 partially fenced acres plus an additional detached 4-car garage with a half bath. New leach field being installed and driveway will have new gravel once leach field is completed. Don't wait on this one!